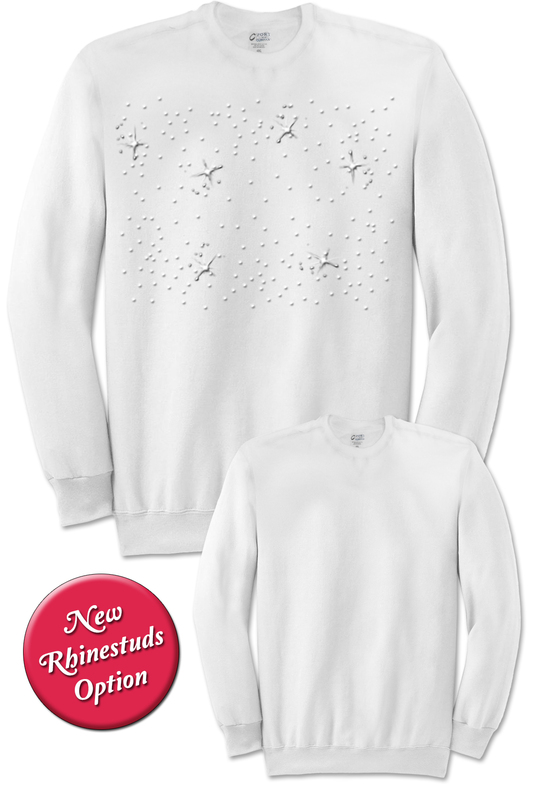 This sweatshirt is a cold-weather staple you'll be happy to have in your closet this season. it has long sleeves and a crew neckline. Add Rhinestuds as a fun option. 2x: Chest-58" / Waist-46" / Length-33"
3x: Chest-62" / Waist-50" / Length-34"
4x: Chest-64" / Waist-52" / Length-36"